“There is no after in Saint-Germain-des-Prés” sang Juliette Gréco in the 1960’s. Wrong! There are the 80’s and even the 90’s, for which the unique Parisian temple opened its doors on 6 December, in rue Bernard Palissy. 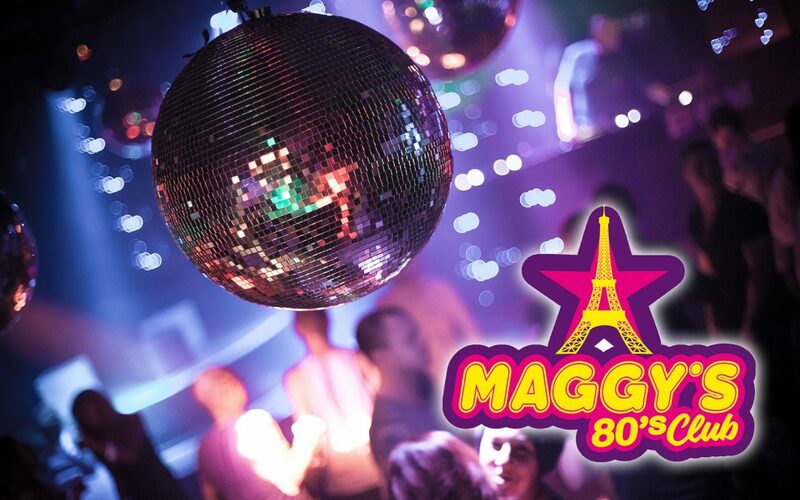 Welcome to the Maggy’s 80’s Club, the Germanopratine night club exclusively dedicated to the tubes of Téléphone, Prince, Début de Soirée and Kool & the gang to just name a few. A bold move… “I’m nostalgic about the 80’s and the 90’s because it was the heyday of the party” recalls Guy Aldeguer, 53, who already owns a Maggy’s 80’s Club in Essonne. “The high fashion was in the nightclubs at that time. People would go there to dance to the hits of the moment and to flirt. It was nights of madness! Then the Internet came along. No need to leave home to discover new songs, or to flirt. New regulations on tobacco and alcohol did nothing to help, nor did the economic crisis that has pushed people to party at home or at friends’. As the Saturday night fever eased, young people turned to places offering house and electro music. But is it not just as great for all generations to enjoy themselves to Abba, as to Daft Punk? “I have noticed, notably from the last two years with the tour of Stars 80, that the public, of all ages, is rediscovering the sounds of disco, funk, soul and new wave, which generates a true revival of this festive period” enthuses Guy Aldeguer. The entrepreneur embarks on this return to the musical future straight away, and with the Maggy’s 80’s Club he launches on an adventure that will delight all of those who see mirror balls and the “ladies’ choice” as synonymous with a successful evening. And for those, Guy Aldeguer has an awesome program: 80’s specialist DJs at the turntables will follow up the successes of Indochine, Queen, Patrick Hernandez or Georges Michael, with theme nights with look-alikes of Michael Jackson or even Claude François! Party spirit guaranteed at Maggy’s therefore; and you can also book it for a private party, unless a company has already booked the place for an unforgettable event… As Thierry Pastor sang, it’s “Le Coup de Folie” in Saint-Germain-des-Prés! Open Thursday from 7 p.m. to 3 a.m., Friday and Saturday from 10 p.m. to 5 a.m. and Sunday from 9 p.m. to 3 a.m.